The debate about whether we have free will or whether everything is predetermined extends beyond philosophy into neuroscience, physics, and even literary theory. Here’s a look at three scientists discussing why free will may or may not exist. Marcus Du Sautoy, a professor of mathematics at the University of Oxford, underwent neural scans as part of this BBC special on the neuroscience of free will. Professor John-Dylan Haynes at the Bernstein Centre for Computational Neuroscience determined that 6 seconds before Sautoy’s conscious mind realized the decision, the brain had indicated what the decision would be. Certain regions of the brain were more active when Sautoy was about to choose the left hand, certain regions were more active when he was going to choose the right. In the first half of the 20th century, physicist Werner Heisenberg found that not everything in physics is as deterministic as Albert Einstein had adamantly stated. 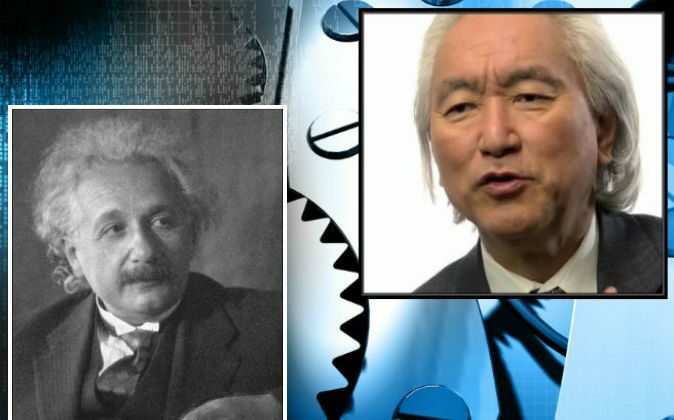 Famed theoretical physicist Michio Kaku explained in this Big Think video that, according to Einstein’s view, even a mass-murderer’s actions were already determined millions of years ago (But the murderer should still be put in jail, Einstein said). 3. What Does ‘Inevitable’ Even Mean? Philosopher, writer, and cognitive scientist, Daniel Clement Dennett, noted in this interview posted to YouTube that determinism is bound up with the concept of inevitability. But what exactly does the word “inevitable” mean? MORE: What Is Time? What Would the World Be Like Without It? A person may be able to avoid a thrown brick or spear, but not a lightning bolt. When we partition things off into those that are inevitable and those that are “evitable,” we see that the “evitable” exists. Not everything is inevitable.